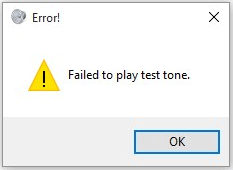 Error “Failed to play test tone” could be caused by corrupted audio drivers, sound configurations and corrupted Windows files. In this article, you will find solutions to solve this problem. If you meet this error while testing sound, try solutions here. One of them should fit your needs. The steps below apply to Windows 10, 7, 8, 8.1, XP & Vista. 3. 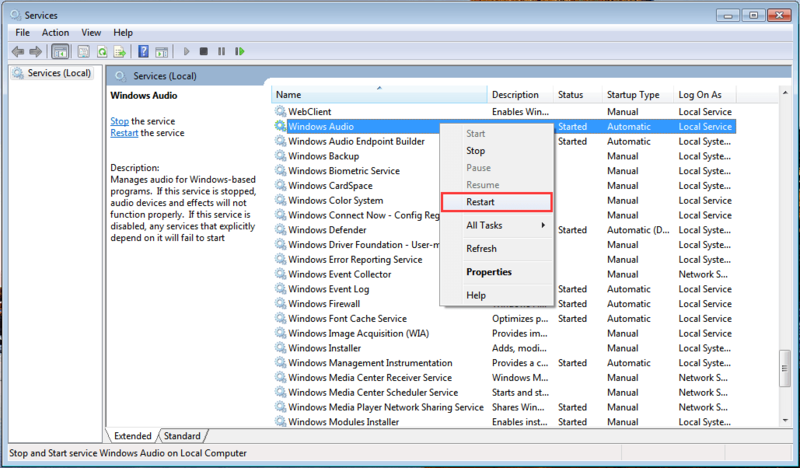 In right Services Window, find Windows Audio from the “Name” list and right-click on it. Click Restart in the pop-up menu. Then the audio service will restart. 2. Type cmd in the run box and click OK button. 3. 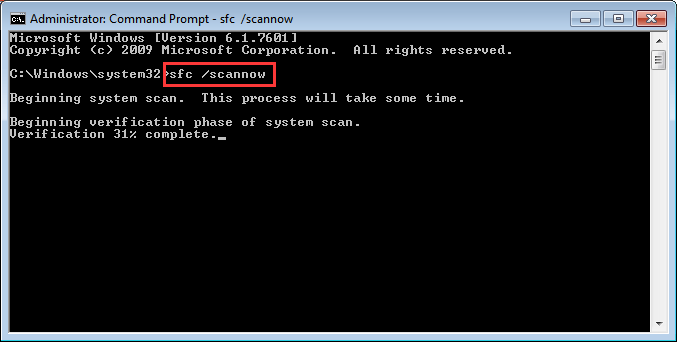 When Command Prompt opens, type sfc / scannow and press Enter. 1. 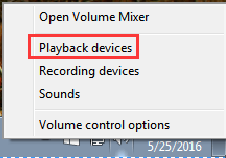 Right-click on the sound icon in bottom right corner of desktop and select Playback devices. 2. In “Playback” tab, select your sound card and click Properties. 3. Click Advanced tab. 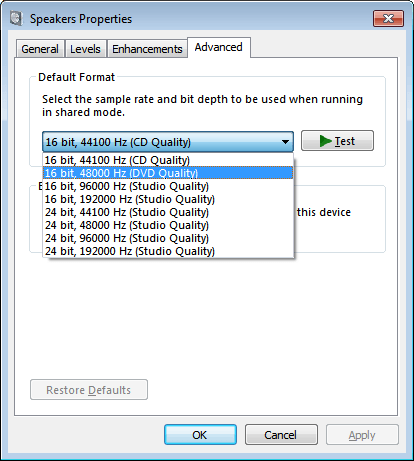 You may see the sample rate is 16 bit, 44100 Hz by default. Change it to other sample such as 16 bit, 48000 Hz. Click Apply button and see if the problem persists. 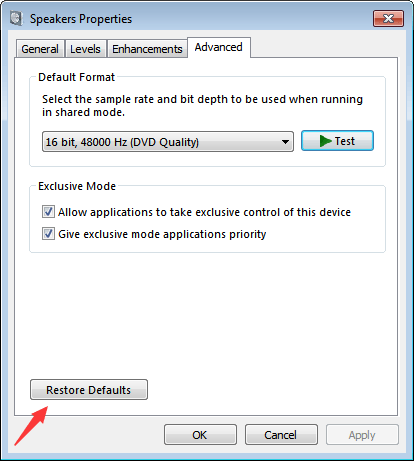 If the sample rate is not set in default, click Restore Defaults and test if the sound’s back. 2. 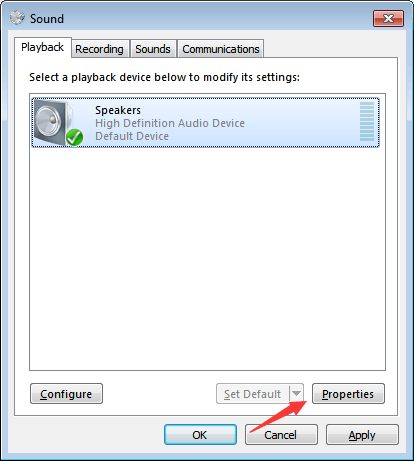 Select Speakers and click Properties. 3. Click Enhancements tab. 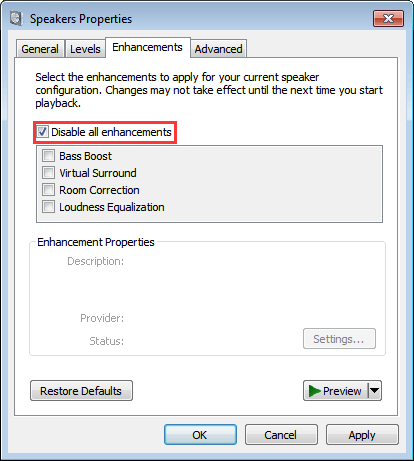 Check the box next to Disable all enhancements (For some Windows version, you may see Disable all sound effects here. ), then click Apply button. The problem might also be caused by corrupted drivers, so try reinstalling the Audio drivers and see if the problem resolves. 2. In Device Manager window, expand category “Sound, video and game controllers”. 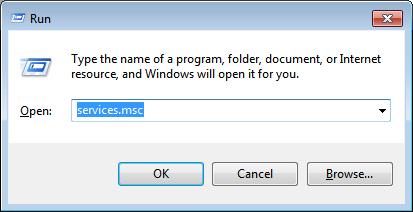 Under this category, right-click on the audio device name and click Uninstall. 3. 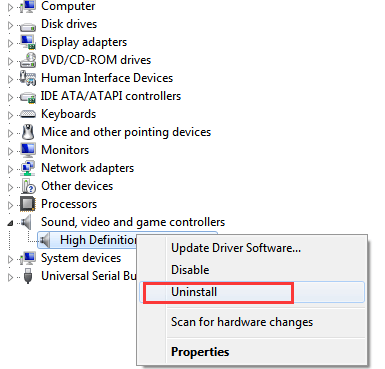 After uninstalling the driver, restart your PC then Windows will install generic audio driver automatically. If the problem persists, try downloading and installing most recent drivers from manufacturer’s website. If you have problem downloading and installing drivers manually, you can use Driver Easy to help you. Driver Easy is a driver update tool which helps update drivers automatically. 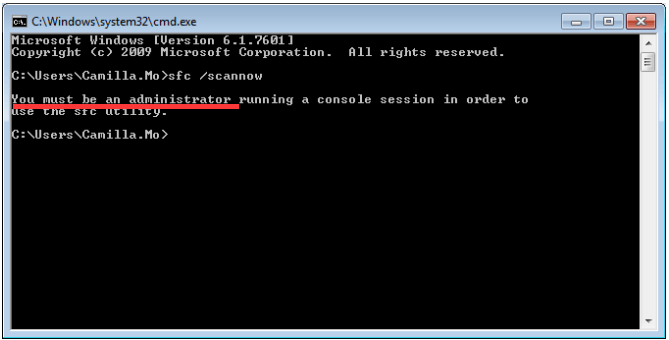 You can use it to scan your computer to detect all problem drivers. If there is problem with the audio driver, Driver Easy will detect it and recommend the new driver. Driver Easy has Free version and Paid version. 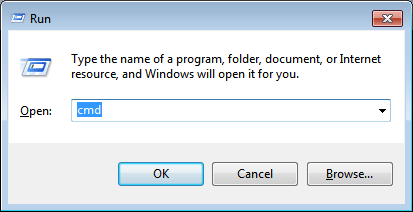 You can use the Free version to download new drivers, but you are required to use the downloaded driver files to install the drivers manually step by step. And the download speed is limited. To save more time, you can use the Paid version. With Paid version, all drivers will be updated automatically. Moreover, you can enjoy free technical support guarantee. If you use the Paid version to try resolving the problem but the problem persists, you can contact us for further assistance. Paid version offers 30-day money back guarantee. You can ask for a full refund if you want within the guarantee period.